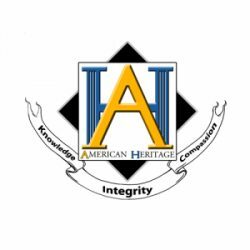 American Heritage School is an independent, non-sectarian, and co-educational day school for grades Pre-K through 12. In Lower School (PK3- Grade 6), students learn in small classes, taught by certified teachers who are assisted by teacher aides. In the Upper School (Grades 7-12), students are offered courses on college prep, honors and Advanced Placement levels in preparation for college. From 9 am to 3 pm. Please call for more details.